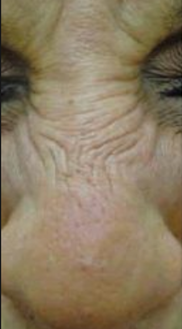 Bunny Lines are wrinkles at the side and top of the nose which can appear when squinting or frowning and can be treated with injectable anti wrinkle injections. 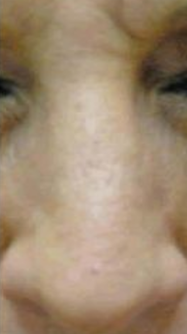 When we squint, the nasalis muscle contracts, and the overlying skin also creases causing wrinkles. The lines caused by contraction of the muscle are called “dynamic lines”. “Static lines” (lines at rest) are caused by the gradual breaking down of the elasticity of the skin. By injecting into the nasalis muscle, we can reduce the hyperactivity of the muscle. Dynamic lines usually disappear and static lines will improve. Typically results start after 4-7 days and last between 3-4 months.